Summary: The Irish songwriter returns with her fifth album providing an envelope of dreamy yet stunning soundscapes. The Irish singer/songwriter famed for her Mercury Prize nominated debut album ‘Night on My Side’ with her fifth album providing an envelope of dreamy yet stunning soundscapes. 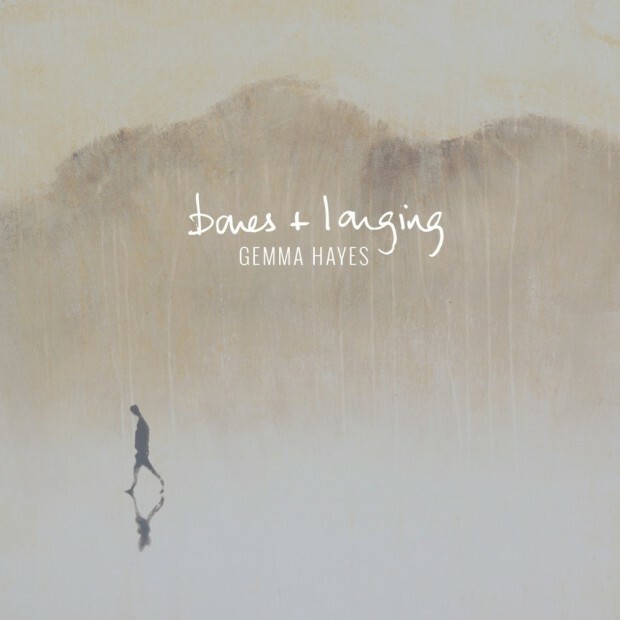 Having released the album solely via a campaign on the pledgemusic site, ‘Bones + Longing’ sees Gemma become more open for the first time since 2008’s ‘Hollow Of The Morning’. Kicking off with the perfect dreamlike vocal of ‘Laughter’, you already begin to feel warmed by Hayes’ delightful tones. Bursting straight in with bustling drumming and a simple guitar, this song feels already familiar yet brand new. “It’s the storm behind your eyes, it’s where I stay” refrain is perfect in it’s delivery as the vocals swirl in and out. Lead single ‘Chasing’ is a wonderous choice of track. It sums the style of the album up perfectly. Full of Hayes’ energy, capturing her developed live sound in it’s purest form, it is a great comeback track. One thing that is poignant on this record is the return of Gemma’s electric guitar as a prominent instrument. The opening riff of ‘Dreamt You Were Fine’ being a great example of this. She sounds rawer than on previous records, almost free from herself. ‘Iona’, ‘To Be Your Honey’ and ‘Making My Way’ redefine Hayes as a great and understated lyricsmith. ‘Palomino’ is the most poppy track on the album and will find you whistling it for a long time after the track has moved on. Recalling a tale of a summer exploration, it is a sugary-sweet track that showcases Gemma’s great vocal range. Having former The Frames guitarist David Odlum on board to not only produce, but return to playing is a stroke of genius. His subtle My Bloody Valentine layers of guitar effects cushion each track to great effect. ‘Joy’ brings out an almost subtle dance riff that allows the vocals to soar. The closing duo of ‘Caught’ and the album’s title track ‘Bones + Longing’ end the record perfectly. ‘Caught’ showcases Hayes’ softer more delicate side. A simple piano ballad underpinned with whispering instrumental sounds leads it’s way to the sublime instrumental to end the album on. Gemma has always produced great instrumentals going back to ‘Callas’ from the ‘Work Myself In To A Calm EP’ way back in 2003. This isn’t as intense, but allows a perfect dreamscape to envelope the listener as it builds to a gentle crescendo. By the time the album comes to an end, you automatically want to hit the ‘Play’ button again and get taken on the wonderful journey all over again.